That said, there’s a warm place in my heart for people who write histfic aimed at kids. Mix that with good fantasy and the little buggers will read. Our future depends on readers so… welcome Barbara Gaskell Denvil and her Bannister’s Muster kidlit series. 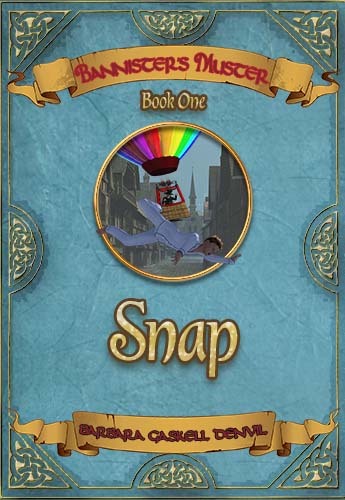 Today we’re talking about the first book in the bunch, “Snap”. Okay, Barbara, what’s your story? I was born in England about 250 years ago, but spent most of my life on the move. I’ve adored living all over the place with many years in England, France, Spain, Italy, Greece and Australia – and a number of other years on a boat sailing the Mediterranean in all that wonderful sunshine. How is that for inspiration? 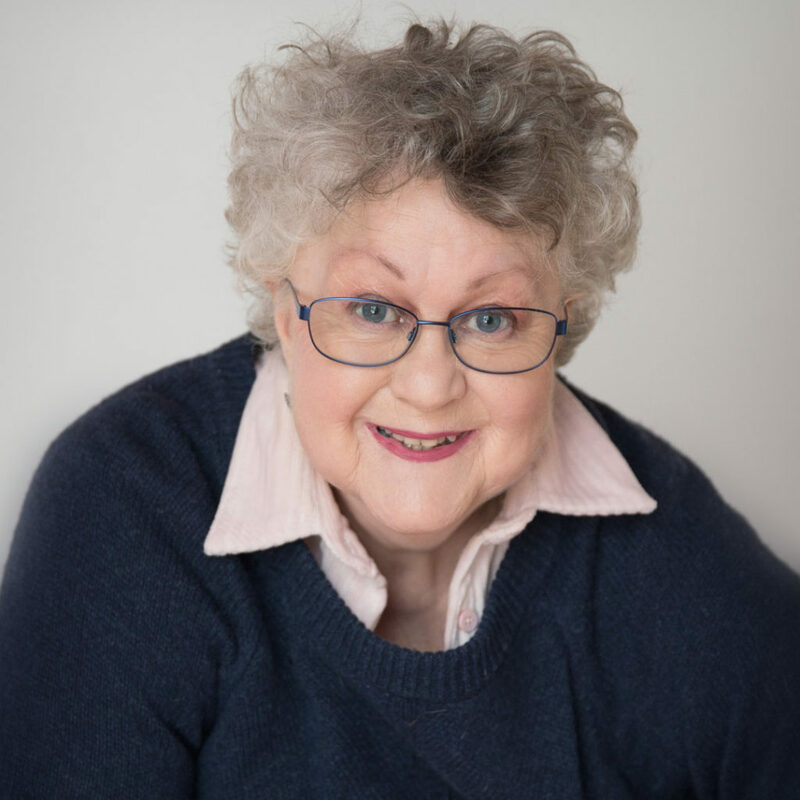 Actually I started writing when I was about six years old, it just seemed the natural thing to do, but after some years of working for magazines and publishers, I got married and had three daughters. It’s since the girls have grown up that I decided to start writing full length novels and have started with historical mysteries – medieval history fascinates me and I’ve researched it for years. I also adore writing fantasy, and my writing list combines both. Most of those are exclusive to Amazon – and I have loved writing every single one. Editor’s note, I suspect some exaggeration here but never talk about a lady’s age. This is the first book in a new children’s series I’ve just recently finished. I loved the idea of mixing my own favourite genres, that’s history and fantasy, with the endless appeal of mystery. So BANNISTER’S MUSTER is the name of the series, and Book 1 is called SNAP. Nathan is whisked away from his very normal life and is thrown back into Medieval London. He makes friends there of a small band of beggars and orphans who steal in order to eat and sleep rough. Just as he is getting used to such a life, the whole gang is tossed into a new world called Lashtang – and this really is fantasy. Nathan and his little sister Poppy plus all his friends have a series of amazing adventures combining modern London, medieval London, and the world of Lashtang. The history is absolutely accurate and I think it’s a great way for kids to learn history from fiction. There are six books in this series, and the last one has just been published. They are available on Audible as well. Why that story? What intrigued you about it? I often dream about medieval London, and sometimes wake up thinking that’s where I live. It really fascinates me. I was very young when I first saw the film of Shakespeare’s Richard III, and I was intrigued to know whether this monster from the past was ever really that bad – or not. Now taking a 12 year old boy and his sister and friends of various ages time traveling through to a completely strange world of imagination has been such a pleasure for me to write. It should appeal to those of about 8 years old to 14 years old – though many adults love the whole series too. Nathan is a typical boy, and that’s how I want him to be. I love wondering what it would be like to move from modern life to medieval life and then on to a dangerous life in a fantasy world, and back to the trials of the past. Pretty scary, I imagine – but terribly exciting. And that’s exactly what the book presents. Sounds like Nathan and Lucca would get along well. What’s your favorite scene in the book? Perhaps right at the beginning when Nathan is all curled up in his comfy modern bed, and out of the mist comes a huge hot air balloon with a strange looking man peering over. He’s a wizard, and he tells Nathan to wake up – we’re off for an adventure. Nathan thinks he’s dreaming, but no, it’s all real as he soon finds out. He climbs from his bed into the balloon’s basket, and then it tips and he falls. It’s a long way to fall but he arrives on his feet – back in the 15th Century. And that’s where it all starts. But he certainly hasn’t seen the last of the wizard. The amazement and confusion is extremely realistic. I can just imagine how I’d feel in the same situation. I wish !! Brewster the wizard is not a nice character, but he’s not all bad either. He suddenly wants to help, but then suddenly wants to spoil everything. It takes Nathan a long time to understand Brewster. All my books are available on Amazon, and this series of children’s books are also available on Audible. How’s that for a goodnight story? Just fall asleep listening to the greatest adventure you can imagine. BANNISTER’S MUSTER – BOOK 1 – SNAP has won many awards, such as B.R.A.G., Award, CHILL WITH A BOOK Award, DISCOVERING DIAMONDS AWARD, READER’S FAVOURITE AWARD., etc.. Also found on Goodreads and other well known sites. 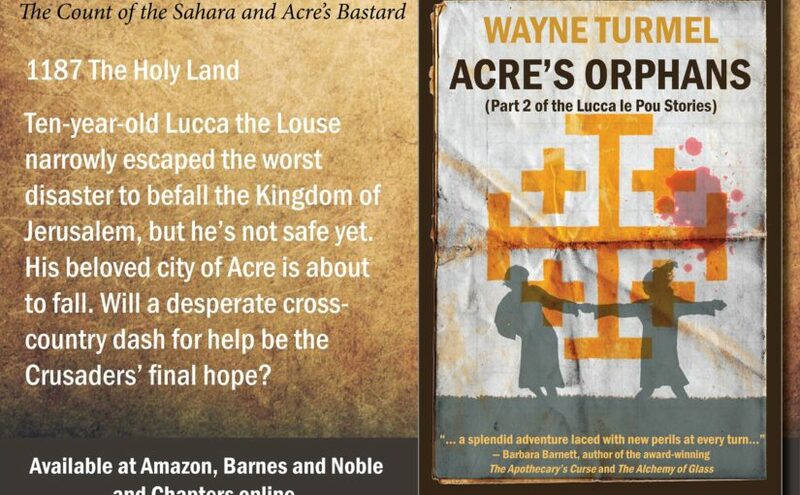 Not to barge in on Barbara’s interview, but Acre’s Orphans officially launched January 28th! You can order Paperbacks on Amazon, Barnes and Noble, and Chapters. The e-book is Kindle only Please help me launch it successfully by buying now. And any time you read a book like Snap (or one of mine,) please leave an Amazon or Goodreads review. It’s like applause for the author.